ROHM RG-46 .22 Blank Gun | Replicaairguns.ca | New Website! Pyrotechnic Scare Cartridges 15mm - 50ct. Trigger Pull: The trigger pull on the ROHM RG-46 22 Caliber Blank Revolver in single action is very light, having virtually no take up at all. The double action trigger pull is much heavier with a smooth release. Mechanically the trigger feels really good. Realism: The ROHM RG-46 22 Caliber Blank Revolver is not an exact replica of any given gun in production, as this would make importing it into Canada even more difficult, but it is styled after a Smith & Wesson Snub Nosed Revolver. It looks and sounds like a real gun, with the exception of the dangerous bullet coming out of the barrel! Comments: The main purpose of the ROHM RG-46 22 Caliber Blank Revolver is to make noise, along with the added ability to shoot flares, and that's exactly what you're getting here. 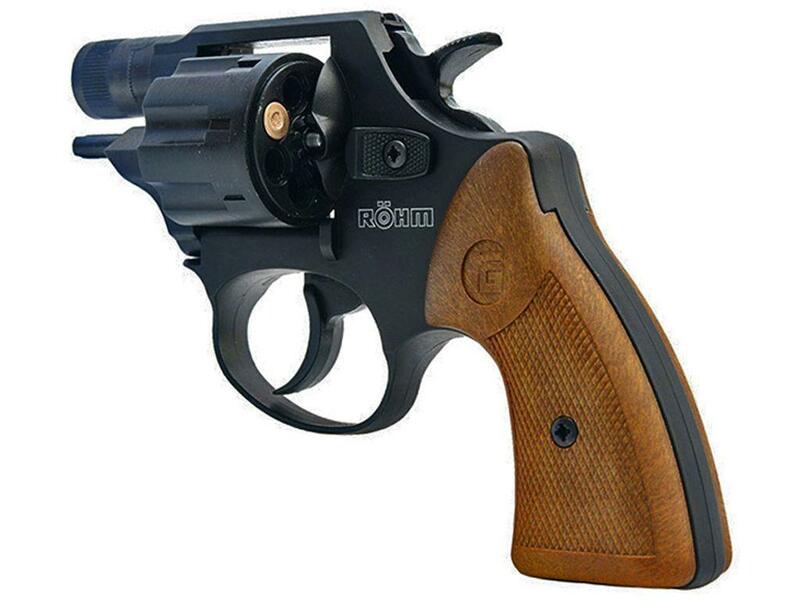 It may not be as elegant as other ROHM revolvers with nicer barrels, but with the ROHM RG-46 you are getting the most compact 7 round shooter and at a bit of a lower price than the other full sized ROHM Blank Guns. I think this may be a record for me, I mean following up a Table Top Review with a Field Test Shooting video within a day of each other! If you have not already watched my Table Top Review for the ROHM RG-46 22 Caliber Blank Revolver than make sure to do give it a look. 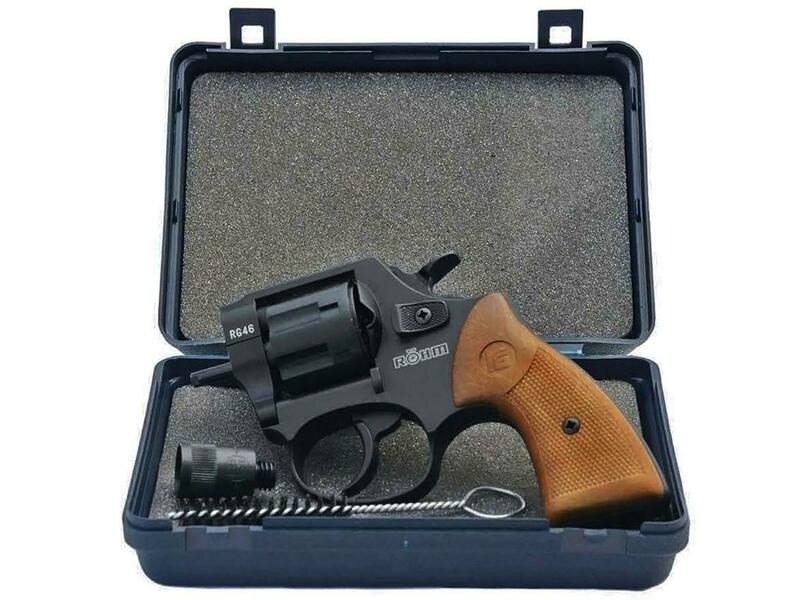 All fun aside the ROHM RG-46 22 Caliber Blank Revolver Field is a really nice quality blank revolver great for many situations like; Gun training, animal training, scaring off pests, stage or movie props or just collecting for fun. Weight: 439 grams 15.5 ounces. Barrel: Removable - Front firing designed for flares. Action: Single & double action. Ammunition Type: .22 caliber crimped. The main purpose of the ROHM RG-46 22 Caliber Blank Revolver is to make noise along with the added ability to shoot flares and that's exactly what you're getting here. 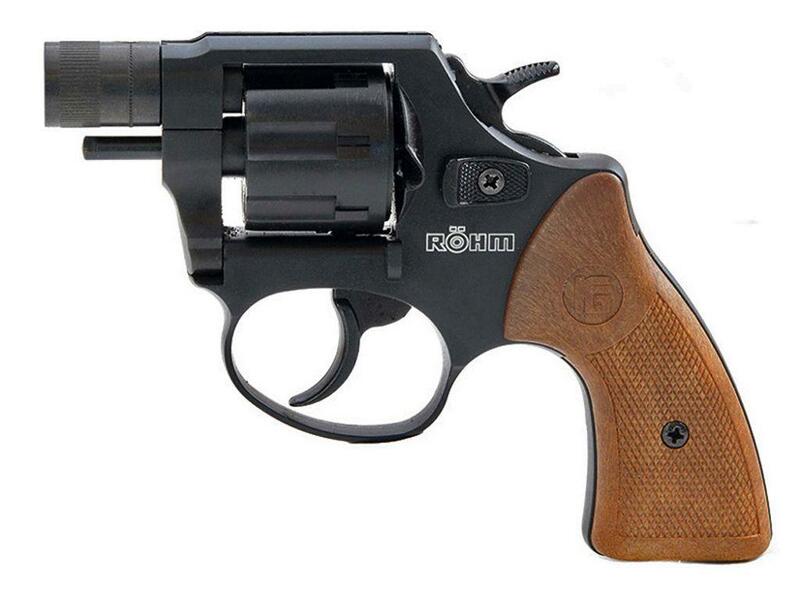 The ROHM RG-46 22 Caliber Blank Revolver may not be as elegant as the other ROHM revolvers with their nicer barrels but with the ROHM RG-46 22 Caliber Blank Revolver you are getting the most compact 7 round shooter and at a bit lower price than the other full sized ROHM Blank Guns.